Garden Photo of the Day: Would Miss Jekyll approve? I'm just wondering. How do I get involved in things I know will stress me out and take a lot of time? Didn't I make a pact with myself that I could and would say no when someone asked me to do something out of my comfort zone? Yet, here I am. I just got home tonight after a three day marathon, trying to pull a little scene together for the Cherokee Garden Library at the Atlanta History Center. There was a big lecture there tonight by garden historian Judith Tankard. 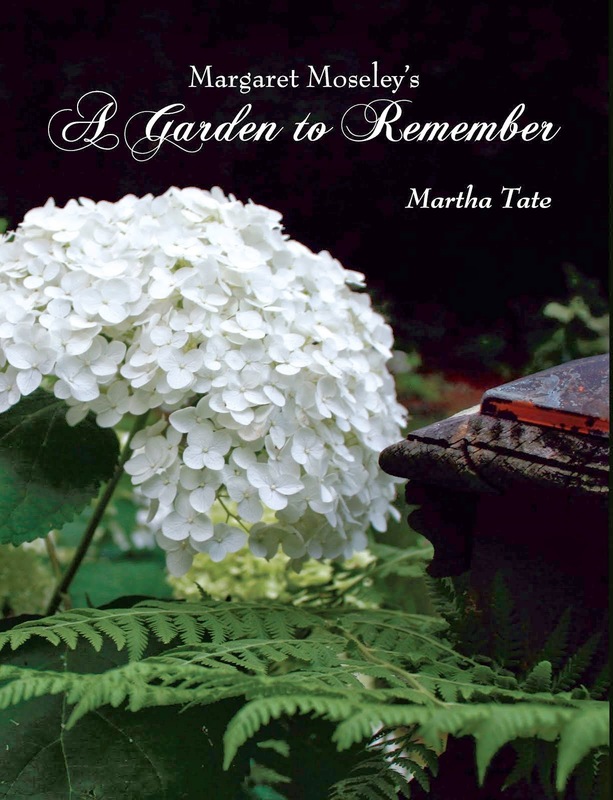 Her newest book is Gertrude Jekyll and the Country House Garden (Miss Jekyll was an English garden designer in the late 19th and early 20th centuries). It was a wonderful talk to a packed house. A huge success - well, almost. In the 1980's, I went crazy over English gardens and devoured any book by or about Gertrude Jekyll and Vita Sackville-West. A bit later, it was Christopher Lloyd, Rosemary Verey and Penelope Hobhouse. I knew well what Miss Jekyll's huge borders were like, how she put hot colors in the middle and went to pastels on the ends. She loved gray foliage, and leaned towards purples, pale blues and whites. More than anything, I wanted one of those 100 foot long borders. Hard to do, when there's not a single flat space on your property or even an hour of sunlight. But as to the photograph above. When the nicest person asked if my designer friend Benjie Jones and I would do something for the lecture, it seemed so far away. But, about two weeks ago, I started having nightmares. The nice person wanted something besides just a flower arrangement. I suggested borrowing a Lutyens bench and incorporating some flowers. Miss Jekyll collaborated with the young architect Edwin Lutyens on countless English manors (and one French one that I have visited and have written about here). I tried to pick out flowers that might have been in her borders. Delphiniums and alliums, for sure. Some iris and lilies and agapanthus. There was nothing pink at the wholesaler's except for some stock, which was a funny color. Another designer, Susan Higley, helped us, and we made borders (no potted plants allowed in the hall) from an English boxwood that was destroyed when a tree fell on my little cottage. When it was put together, we had to camouflage the oasis with hellebores from my friend Peggy Witt. She had insisted I take all she had in her front, and thank goodness, I did. When the bench came this morning, I was shocked. It had been weathered teak in the garden, which would have looked perfect with the flowers. But the owner had thoughtfully had it pressure washed and cleaned, and the flowers now looked garish. Not the weathered scene we had counted on. Oh well. The lecture was a huge success, and when some people sat down on the bench, it all looked much better. Trying to make an English border in an 18 x 18 inch space is not a good idea. I'm afraid that somewhere in England, Miss Jekyll is turning over in her grave. I understand your comments about the bench. However the flowers worked to a tee. congrats. Martha that vignette was beautiful and so appropriate. Fragrant too! Nice job!! Yes! Miss Jekyll would approve. Out with it. What 1 knew fabulous thing did you learn? Used to be I would not miss a lecture like this. Now, more important to be designing a garden. Amazing bench/garden ya'll created. They got the right people for the job. Talk about serendipity. Today would have been Sir Edwin Lutyens' 116th birthday. I love the vignette you created - it just sings "spring"!